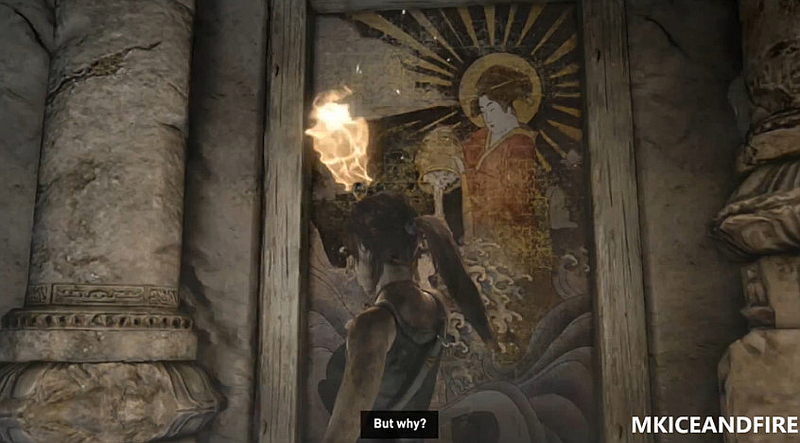 In Part 1: Himiko, we examined the god of the Solarii Brotherhood. 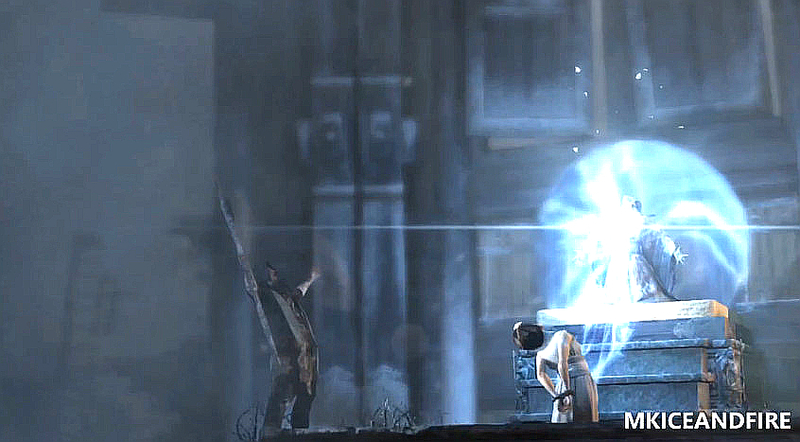 In Part 2: Father Mathias, we looked at the beliefs of Father Mathias, and the founding of the Solarii. 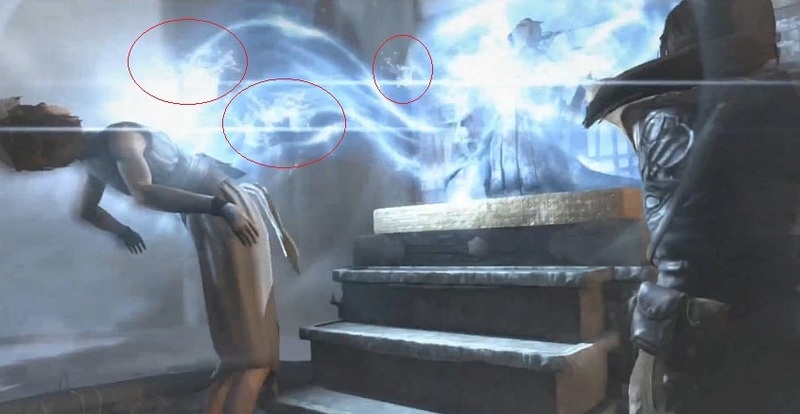 In Part 3: The Solarii, we did an in-depth examination of the Solarii themselves. 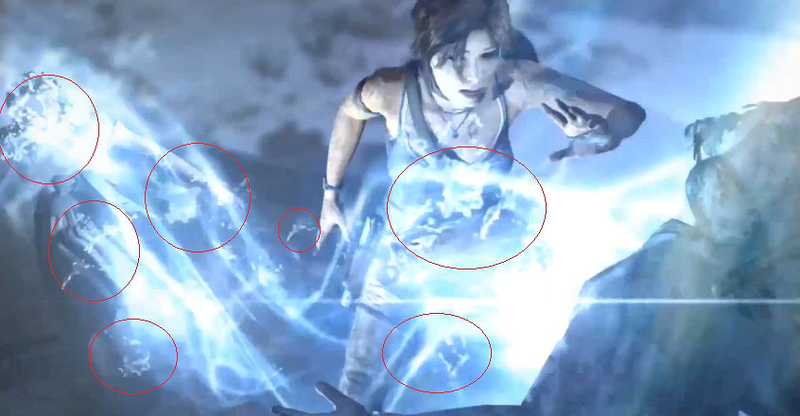 In Part 4, we will see how all of the previous articles are bound with Another Spirit. 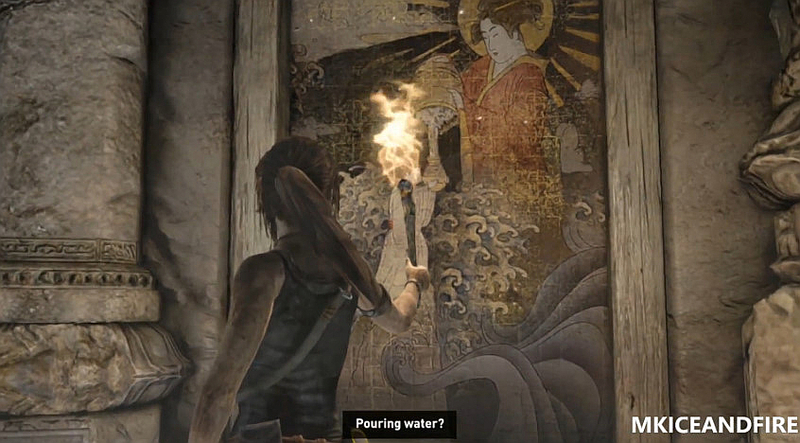 When Lara enters the tomb of the Sun Queen Himiko, she finds a picture of her seemingly pouring water into the vessel of a priestess. Suddenly, the truth dawns upon her. 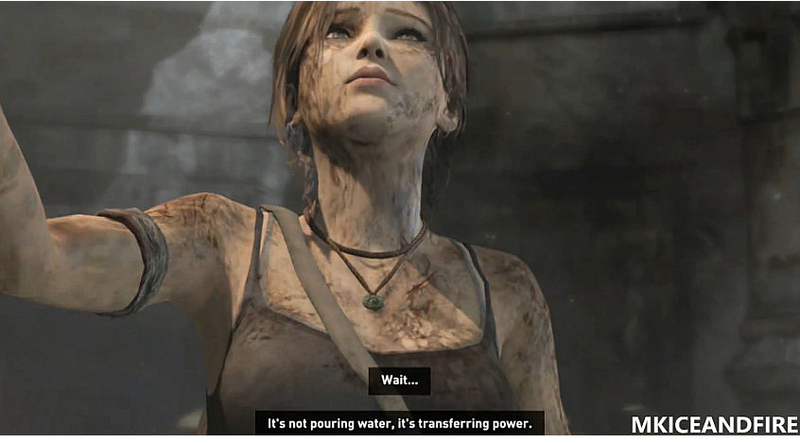 We get to see this transference of water/power in real-time at the end of the game. All this seemingly fragmented information comes together in a very shocking way when examined by the Bible. 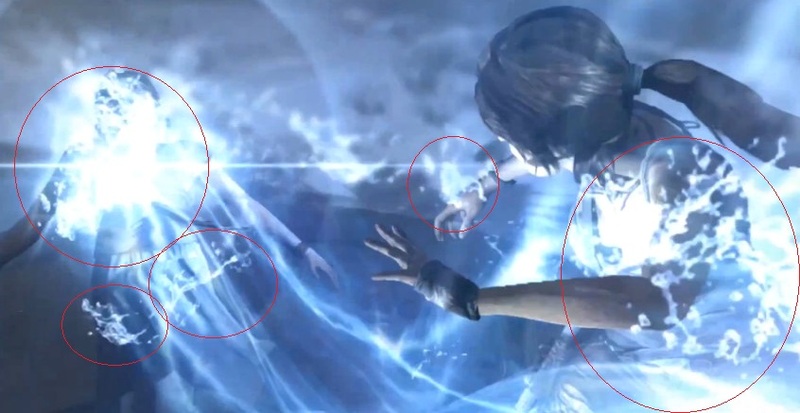 The game itself proves that the power/spirit transfer is in the form of water, with it’s own graphics. 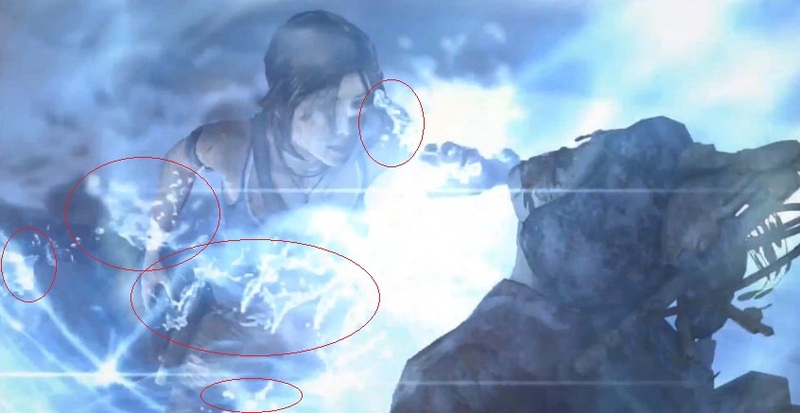 Notice that the particle effects used for a spirit and water are one and the same. 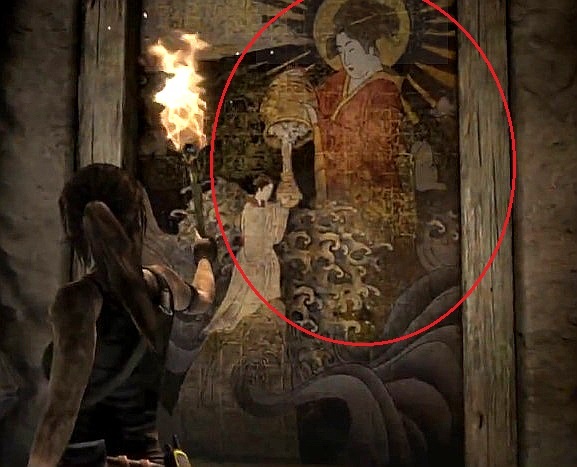 In the first article for this game, we saw another Jesus in the form of Himiko. In the second and third article, we saw another gospel in the way of salvation preached by Father Mathias. 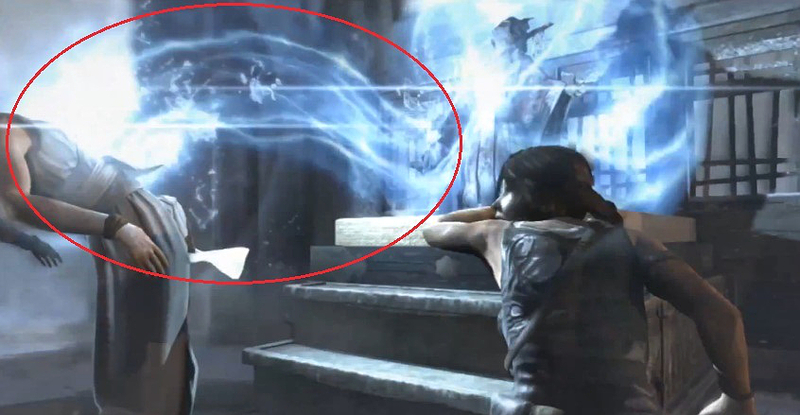 And in this article, we see another spirit in the form of Himiko’s soul. 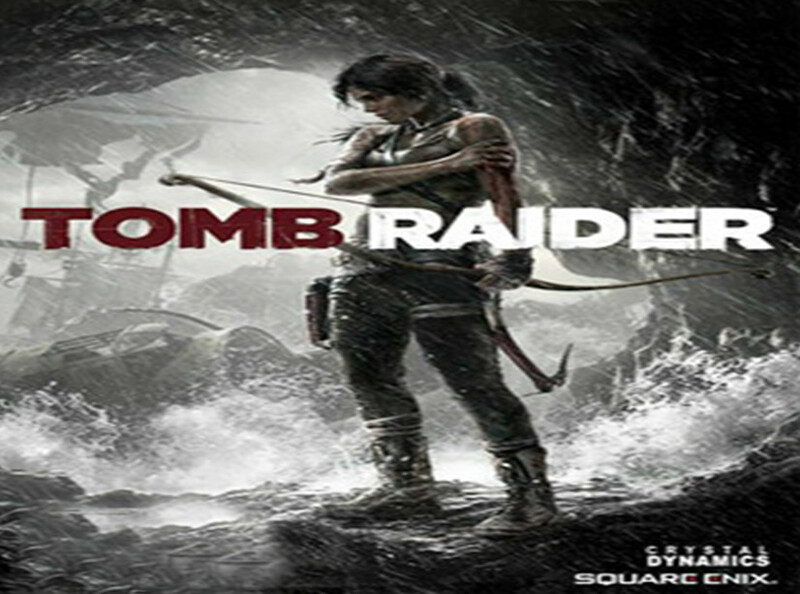 *Look out for Tomb Raider and the Bible Part 5: Non-Believer next week!